Christmas Tree on top of a building! | Juniorwood! Christmas Tree on top of a building! Junior spotted this today! Every year, a large Christmas tree is placed on top of the Nedinsco building in Venlo. 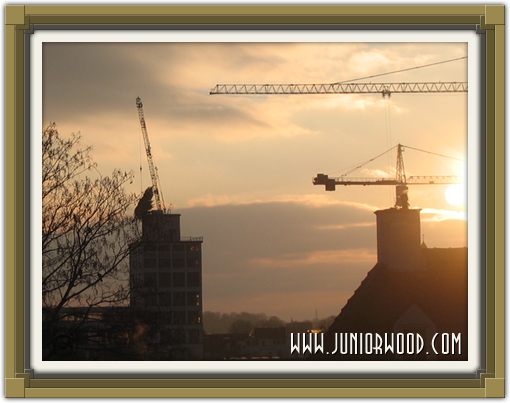 Junior could see how the tree was taken to the top of the building, well one floor below the top, since there are constructions going on right now. We don't want the Christmas tree falling down! Mommycat will soon post lots of pics from the Nedinsco building and the tree!